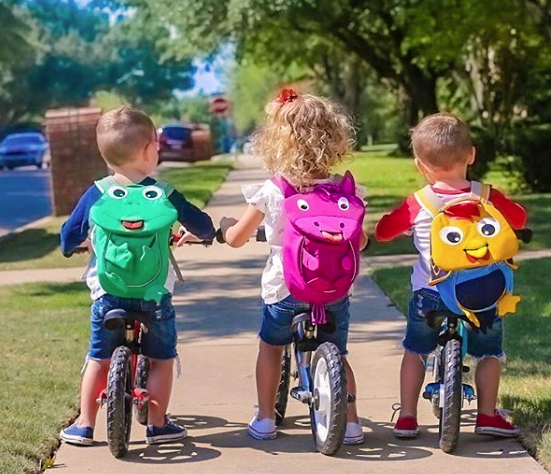 When I meet the “Bennett Triplets”, @bennetttriplets, Savannah, Wyatt, and Beau, the kids have just woken up from their nap and are scrambling around the living room while Holly and I sit at the kitchen table. Savannah laughs and blows raspberries at the ground while Wyatt eats a cookie and Beau clambers up onto a chair with his mother. 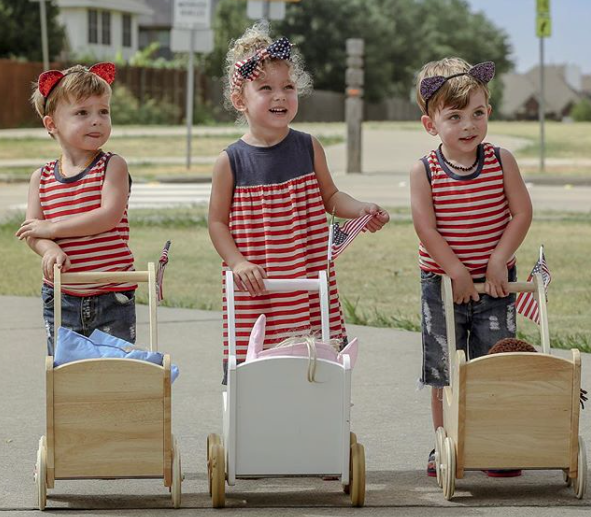 These three children from Plano are social media sensations. 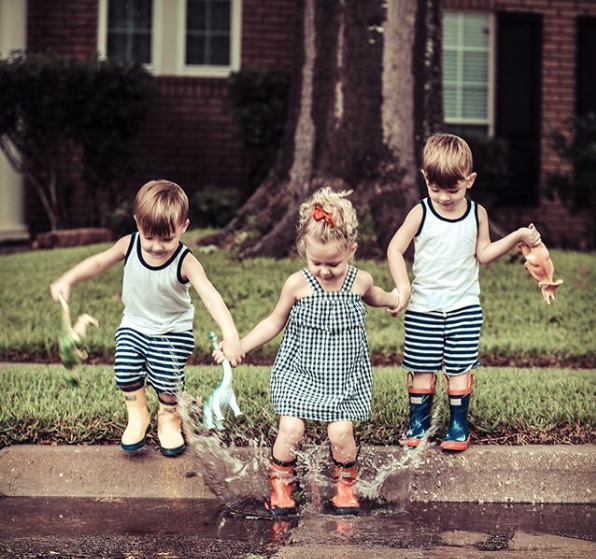 Holly runs the “bennetttriplets” Instagram, where she and her sister, both photographers, share photos they take of the kids. This account has over 46,000 followers. Holly grew up in Minnesota. She met her husband, Jason, when she came to Richardson, Texas to visit her cousin at 18. Jason was her cousin’s best friend. When Holly went back to Minnesota, she put in her two-weeks notice at work. Holly and Jason married almost 15 years ago and moved to Plano in 2011 when Holly got pregnant with her first child. They wanted their kid to have a good education. Unfortunately, Jason and Holly lost the baby during delivery. “But a couple of years later, we ended up with the three,” Holly tells me with a warm smile. Holly still works full-time and Jason is in the Air National Guard, so she definitely has her arms full. I ask what her number one takeaway from raising triplets is. Holly started the bennetttriplets account because she wanted to see if she could “get the K” and hit 10,000 followers within a year. She’d already had the Instagram account for years, but it only had two pictures, one of Holly’s nails and the other of the family by their pool. After Holly set her goal, she started posting high quality photos daily. She hit 10K within 7 months. At that point, Holly thought, “Now what’s my goal? That was no fun!” She aimed for 15 and 20 and then 25 thousand and reached her goal each time. 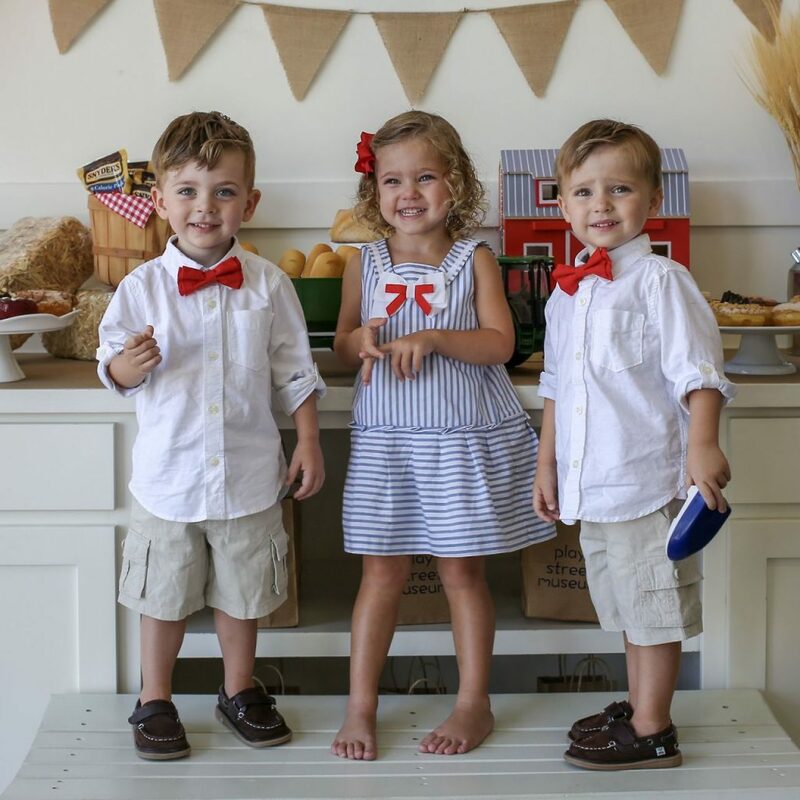 While Savannah, Beau, and Wyatt are a handful (what toddlers aren’t), they also infuse the Bennetts’ home with joy. Savannah and Beau are both outgoing and cheerful. Savannah likes to see the pictures on Instagram and point out who was in each one and what they were doing. According to Holly, she’s the pioneer in almost all of their ‘baby firsts’. “Wyatt,” Savannah says, showing me a picture of Wyatt swimming. “I swim too,” she adds with a serious look on her face.